Is your product great, but no one knows it exists? Are you sick and tired of spinning your wheels and money on under-performing ads? Are you looking to build and scale profitable campaigns that are low maintenance? Do you need an all-in-one traffic system that even a beginner can implement? STEP 1: We’re going to build the assets you need to launch your traffic system using our ad copy templates, ad creative process, and targeting research checklists to build ads that actually convert. 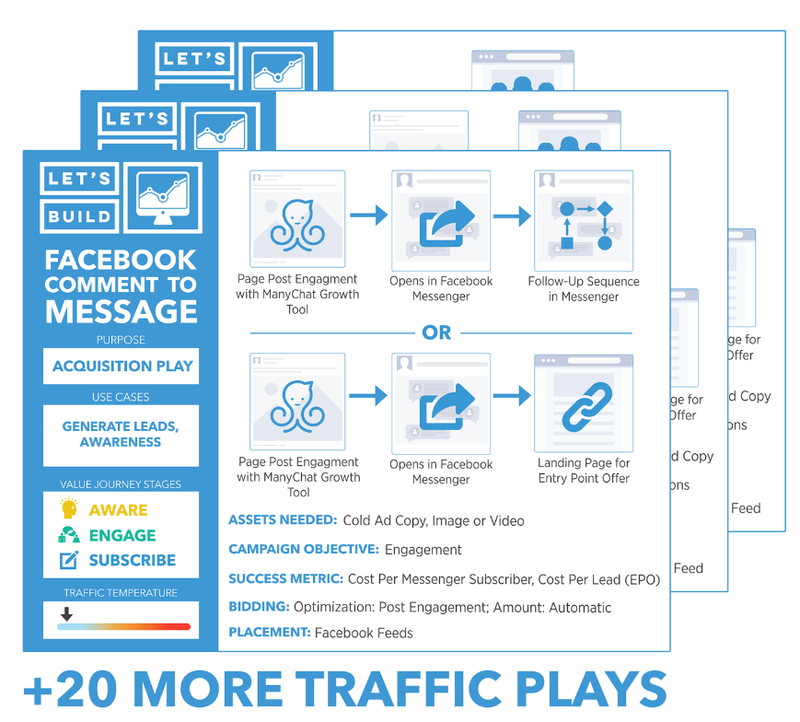 Step 2: We’re going to launch your “Profitable Traffic System.” Using your campaign planning canvas, we’ll pick the best traffic plays to deploy for immediate business growth. Step 3: We’re going to optimize and scale your traffic system. With our Health-Check Sheet, you’ll know exactly which ads are preforming (so you can scale them) and which ads need a little love (so we can fix them… TOGETHER). By the time we’re finished, you’ll have a “Profitable Traffic System” that, with just a little part-time maintenance, can grow your sales practically “hands-free” for years to come. This is the week you’ll actually LAUNCH your traffic system! We’ll cover best practices for structuring your Facebook campaigns, what you should be testing, and how to track. You’ll also learn optimization techniques for your traffic campaigns and landing pages. Each week for 6 weeks, you’ll complete a new step in the “Profitable Traffic Framework,” and by the time we’re finished you’ll have all the assets you need to roll out your own perpetual Profitable Traffic System. Module six is all about SCALING! You’ll learn how to scale your campaigns to different markets, and how to “trim the fat” from your campaigns (what’s not working). You’ll learn best practices for troubleshooting a campaign that may be failing and how to best measure the performance of your campaigns. This module will teach you the foundations of how we think about traffic at DigitalMarketer and where it fits into YOUR business. We’ll establish goals and a “language” so that we’re on the same page throughout the workshop. You’ll craft a customer value journey for your business, audit your current marketing assets, and start working on your campaign planning canvas. Week two is where we start building the assets you’ll use in your ad campaigns. You’ll use our ad copy templates for cold, warm, and hot ads, we’ll build out targeting specific to your market, and start to conceptualize and create your ad images and videos. You’ll also learn how to build content assets you’ll need to send traffic to. Module three is where you’ll get access to the first half of our traffic playbook. This week will focus on plays that help generate interest at the top of your funnel. You’ll select the right plays based off of your business’ current needs and execute on step-by-step instructions for building a high converting ad campaign. Module four is where you’ll get access to the last half of our traffic playbook. This week will focus on plays that help generate interest at the bottom of your funnel. You’ll select the right plays based off of your business’ current needs and execute on step-by-step instructions for building a high converting ad campaign. A big part of scaling is scaling to different traffic platforms. Although this course is focused heavily on Facebook, we didn’t forget about YouTube and Google! In this module, you’ll learn from two industry experts on how to set up high converting YouTube and Adwords campaigns to scale out your traffic system. The Profitable Traffic Framework Just. Flat. Works. So, whether you’re a tiny “kitchen table” startup or a massive enterprise, the Profitable Traffic Framework will work for you.